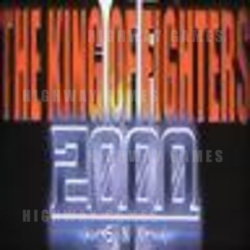 Earily this week we mentioned that SNK began selling King of Fighters 2000 in Japan, and with differing release dates worldwide some people have taken extra steps to receive the stock early by flying to Japan to hand carry back to their country. In Hong Kong, the agent began selling the game on the 26th to local arcade owners and found that some people were onselling to international customers. To combat this, the agent is offering a rebate of $HK1,000 or about $US128 per cartridge if the arcade can still prove that they have this in their arcade after 10days. If the serial number corresponds with the order, the customer will receive the rebate.